Interesting release on this solo project by highly experienced Woolly Wolstenholme, for most best known for being a founding member of Barclay James Harvest. Most of the tunes here are calm, mellow and almost ballad type compositions, where carefully crafted and performed symphonic keyboard layers add a mood and atmosphere that transforms what basically are ordinary tunes into intriguing and fascinating experiences. Variation are added by a few mid-paced rockers, two highly complex tunes where the music and lyrics interact in such a way that the lyrics have to be taken in to comprehend the musical context; and a couple of more offbeat tunes performed with sardonic humour. A strong release, where the main weakness are the vocals - Wolstenholme isn't a young man anymore; and his voice is a bit too weak in parts of these songs. It is always with pleasure that I review a Whoolly (or Maestoso) album. Not that the band released several masterpieces but as he was (IMHHO) the proggiest element in BJH, I have considered his work with interest. Well, the worse and the best actually. 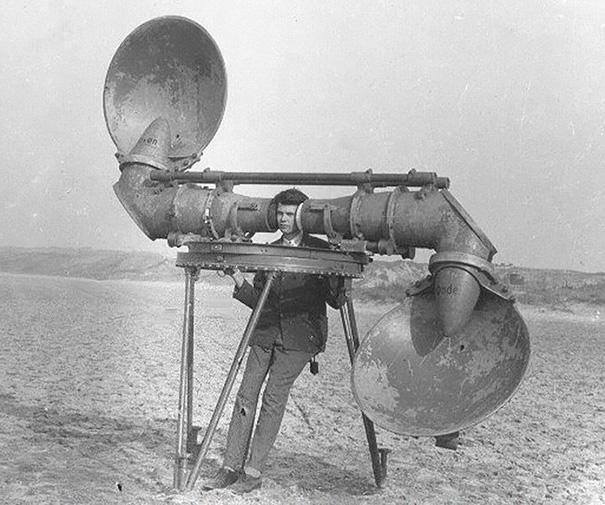 The listener shouldn't be distracted by the awful (but very short ? less than a minute) opener and title track, because what is coming next is probably one of the most complex and at times the most beautiful song released by the man. ''Soldier Of Fortune'' almost opens as a Crimson track: heavy, weird, chaotic. It then turns into a pure symphonic jewel full of mellotron (yes, I love this instrument). The long instrumental passages are absolutely outstanding. They can compete with ''Firth Of Fifth'' probably (no, I'm not kidding). But the problem are the vocal parts: fully folkish and somewhat naïve. They are in total opposition with these fantastic keys and guitar parts which are pure melody and passion. After this very special song, a more common and straight-forward pop-oriented track ('' The Road To Nowhere'') contrasts severely with the complexity of ''Soldier?''. Not bad, but nothing from the other world (like the heavy-rock ''The Collector''). Whoolly excels of course in the writing of these sorts of ballads, even if again the vocals during ''Always'' aren't particularly great. But boy! These musical parts are so melodic! Most of the album is made of pastoral and folkish moments but some (like I have already mentioned) are better than others (like the well named bluesy-folky ''I Don't Like You''). I also have to say that the attempts to rock aren't always successful (but I had the same feeling about these under the BJH umbrella). 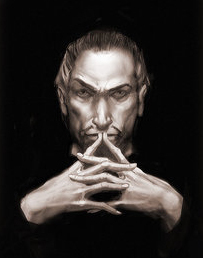 ''Tonight?'' highlights this fact. But the man is of course the master of symphony (mixing classic with prog) and another brilliant example is the superb ''Shoes''. What a melody my prog friends! In all, there are excellent songs here, but they are compensated with weaker ones and above all (sorry for this Whoolly), some vocal parts that are not on par at all. I consider this album as a good one and therefore rate it with three stars. It is good to see that Whoolly is again regularly back with new works since 2004. Woolly Wolstenholme joined the music industry already back in the 60's. But it isn't until this new millennium that he has written his best material! But not only his best material, it is also the case that he has written more material during this millennium than during the previous one, despite the fact that this one has just started. Woolly was, of course, a member of Barclay James Harvest from the late 60's to the late 70's for which he wrote about one song per album. He then left the band and released one solo album called Maestoso in 1980. After that he started to work on a second one, but it didn't work out for some reason (I don't know the details) and he then left the music industry altogether. However, as I have already mentioned, in this new millennium he returned and has so far released as many as three further studio albums under the name of Maestoso in 2003, 2005 and 2007 respectively! The first one of these I heard was the 2005 release Grim, and I was really impressed with it, so I had to check out Caterwauling as well. Both these albums are really good (I have not heard the 2003 one yet). On the sticker that was on the Caterwauling CD case there is a quote from All Music Guide saying "Wolstenholme's recorded work with Maestoso is not just the best of any Barclay James Harvest side projects, but is equal to any work by Barclay James Harvest in their prime". I completely agree! Indeed, I find this more interesting than any album by Barclay James Harvest! Musically, Caterwauling is very similar to Grim. Maestoso is listed under Eclectic Prog which I think is very appropriate. However, there are influences here from Symphonic Prog, Prog Folk, Crossover Prog and Proto-Prog as well as straight Folk and even a bit of Country thrown in for good measure. If you want references to other bands I can mention Strawbs, which is the closest point of reference I can think of. But also Procol Harum, King Crimson and, of course, Barclay James Harvest, but not too much, maybe even a bit of John Lennon might give you an idea. As on Grim, there is a perfect mix between the harmonic and the dissonant, the humours and the serious, the conventional and the weird, the sombre and the gritty. And it all holds together well. Overall the album is very melodic and quite mellow with many ballads, but there are some rather surprising harder rocking passages and some very good lead guitar work on many tracks. The album starts with a short spoken introduction with the word Caterwauling being repeated over and over in different voices. I must say that I don't quite see the point of this introduction. The 11+ minute Soldier Of Fortune is the first real song of the album. The brutal and dissonant guitar sound on the opening section of this song is strongly influenced Robert Fripp as it sounds very much like King Crimson. It then changes radically to a much more harmonic and symphonic guitar solo, more reminiscent of John Lees of Woolly's former band. After this the song changes again, radically, to a very mellow, folky vocal part backed by washes of Mellotron. The earlier parts of the song are then repeated towards the end of the song. This song tells a story of a man who went to war and this story is continued on the third track, The Road To Nowhere. All instruments are very well played and the backing band here has nothing to envy from Barclay James Harvest. The keyboards, mainly Mellotron and piano, are omnipresent, but as on Barclay James Harvest's albums, the keyboard playing of Woolly was never flashy or virtuosic. He was never a Rick Wakeman or a Keith Emerson, or even a Tony Banks. The keyboards here rather just provide a symphonic backdrop for the lead guitars and vocals. Woolly's vocals are fragile and tender but not weak. I think he has matured as a vocalist over the years and I find his voice pleasant. This album is a very nice addition to any Prog collection, but I do recommend you to start with Grim, which is the better of the two in my opinion. Both these albums are very recommended! 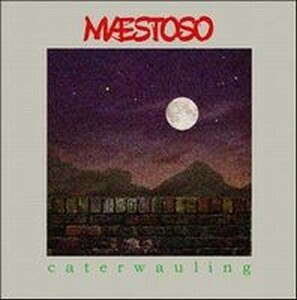 Post a review of WOOLLY WOLSTENHOLME'S MAESTOSO "Caterwauling"